Action Hepatitis Canada calls on to the provinces and territories to use the STBBI Framework and the Elimination Blueprint to develop resourced implementation plans that include a strategy toward the elimination of hepatitis C in Canada by 2030, in line with our WHO commitments. In May 2016, Canada signed on to the World Health Organization (WHO)’s first ever Global Viral Hepatitis Strategy, with the goal of eliminating viral hepatitis as a public health threat by 2030. The WHO strategy includes specific reduction targets, and all countries were asked to develop a National Action Plan to meet these targets. In July 2018, Health Canada published the pan-Canadian STBBI Framework for Action. While not a stand-alone National Action Plan for the Elimination of Hepatitis C, this document does include the global WHO hepatitis C targets. It is now up to each province and territory (P/T) to create an Implementation Plan which is oriented toward elimination. AHC, along with our many allies, are calling on Provincial and Territorial (P/T) governments to put in place resourced plans that include prevention, diagnosis, and treatment targets and population-specific strategies, saving thousands of lives and fulfilling our international commitments. ​Since 2014 we met with multiple Ministers and MPs requesting their support, published a position paper which we shared with the Prime Minister and the Minister of Health, worked with journalists to bring attention to the issue, hosted meetings to create unified messaging among members and allies, offered tools and training for members to engage their elected officials, initiated a parliamentary e-petition as part of a World Hepatitis Day campaign, and led a postcard campaign targeting MPs. ​These efforts led to us being involved in the consultation process on the development of an integrated STBBI strategy. Recognizing that this was the direction the government was moving in and that a separate National Action Plan for hepatitis C was no longer a feasible ask, we worked to ensure that The Integrated STBBI Framework for Action would be elimination-oriented when it comes to hepatitis C. The draft was a high-level document that did not acknowledge the unique opportunities and challenges related to hepatitis C specifically, and included no targets, so we advocated with our many allies to have elimination targets included that are in line with our WHO commitments. 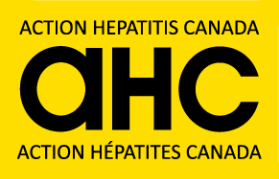 ​Throughout 2018, AHC has been involved with the CanHepC initiative of writing a Hepatitis C Elimination Blueprint, designed as a companion document to the Pan-Canadian STBBI Framework for Action, to help provinces and territories develop implementation plans that include a strategy to eliminate hepatitis C. Expected completion is fall 2018. In July 2018, the STBBI Framework for Action was released, with the approval of the Federal, Provincial, and Territorial Ministers of Health. Still, there is resistance to the creation of resourced implementation plans, and so far Prince Edward Island is the only province to commit to the creation of a hepatitis C elimination plan.